The lovely bridal and bridesmaid fashion boutique, Bella Bridesmaid will soon be carrying Jenny Yoo dresses in their store, and to give all the Seattle area ladies a sneak peek and head start, they’re hosting a mini trunk show with 5 Jenny Yoo bridal gowns and 8 Jenny Yoo bridesmaid dresses, now through January 14th. The dresses are absolutely darling, and if you place your order by January 31st, you’ll receive a 10% discount! On January 22, 2012 Vancouver area brides can enjoy a day filled with everything beauty, health, and style, including fashion shows, beauty treatments and a special presentation by Randy Fenoli, Fashion Director at Kleinfeld and Star of TLCs Say Yes to the Dress. Fun! Monique Lhuillier’s wedding dresses are some of the most beautiful on the planet, and nothing beats getting to try on her spellbinding designs in person. If you’re in the market for a Monique, don’t miss the trunk shows at their Minneapolis and Los Angeles flagship salons this month. They’re by appointment only, so call or e-mail to reserve your space today! 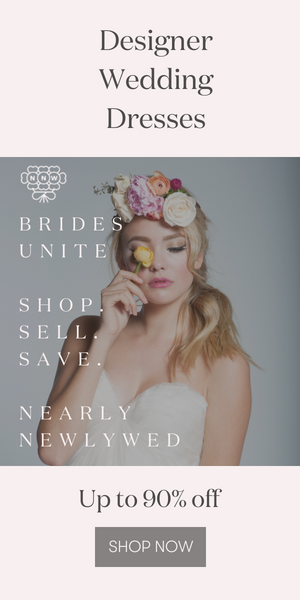 Indie Wed is a unique wedding show and marketplace where you can find unconventional, edgy, eco-friendly and independent wedding pros and their wares all in one place on one fun day. Chicago area couples can meet over 100 amazing vendors plus enjoy food, music, fashion and pampering – don’t miss it! Weddings in Woodinville is a super fun way to see all of the beautiful winery wedding venues in Woodinville, Washington, along with other talented vendors who will be showcasing their products and services at each location. Bring your friends and family to tour 7 venues, meet 100 vendors, and taste up to 20 wines in one amazing afternoon! Check out this video of last year’s event by Bogle Productions and Edit1 Media! With wedding experts like Martha Stewart Weddings Darcy Miller, Kleinfelds fashion director Randy Fenoli, bridal gown designer Amsale Aberra, master wedding cake baker Sylivia Weinstock and top caterer Peter Callahan, plus florists, photographers, stationers, and more, you’ll be in wedding planning heaven! I wish one of those Monique Lhuillier trunk shows were in this area! Love her stuff. Oh my! Lots of events, beautiful dresses btw! The bridesmaids as well as the wedding dresses. Gorgeous dresses. Thanks for sharing.